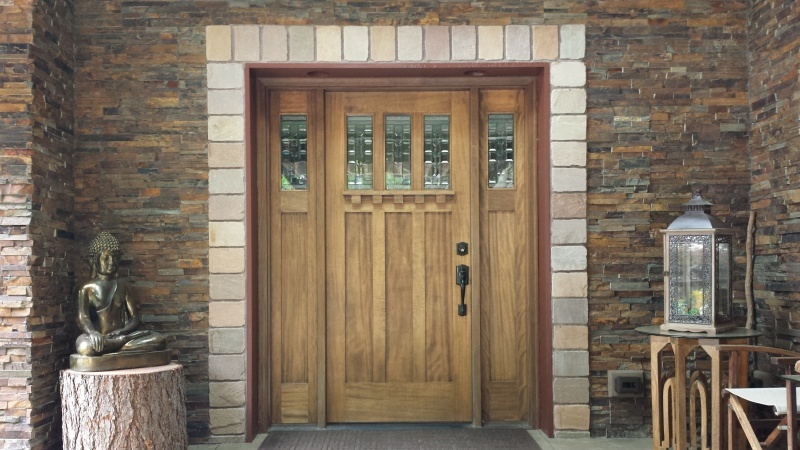 This Fox Island, Washington residence used Autumn Rose ledge panel veneer and antique brown sandstone trim stones around the doors and windows. This photo shows a how the garage doors and an accompanying window were trimmed out to match the entryway show above. 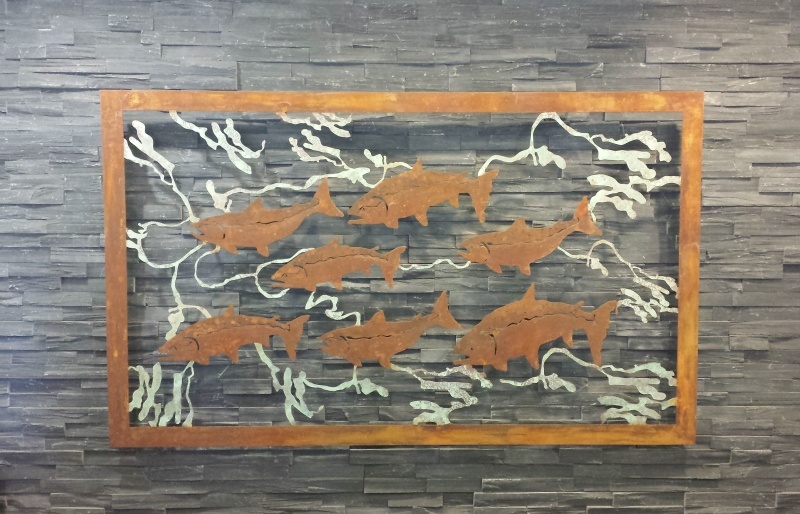 Ocean Black ledge panel with a neutral dark-gray color was used to offset a metal sculpture designed by Debbie Fitzer, a talented Federal Way, WA artist. 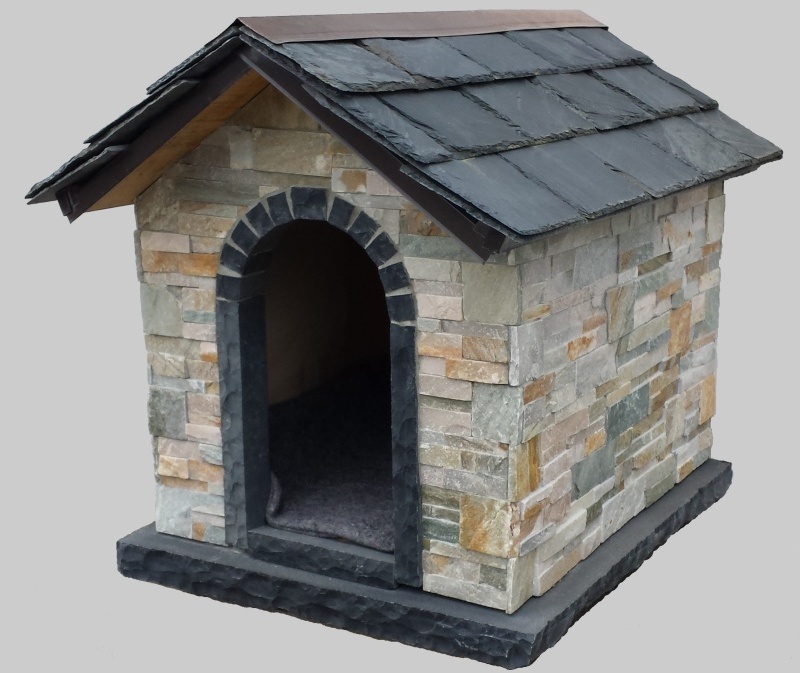 This extravagant doghouse used Desert Gold natural stone ledge panel on the walls, antique black limestone trim, and black slate roofing. Shipping extra. 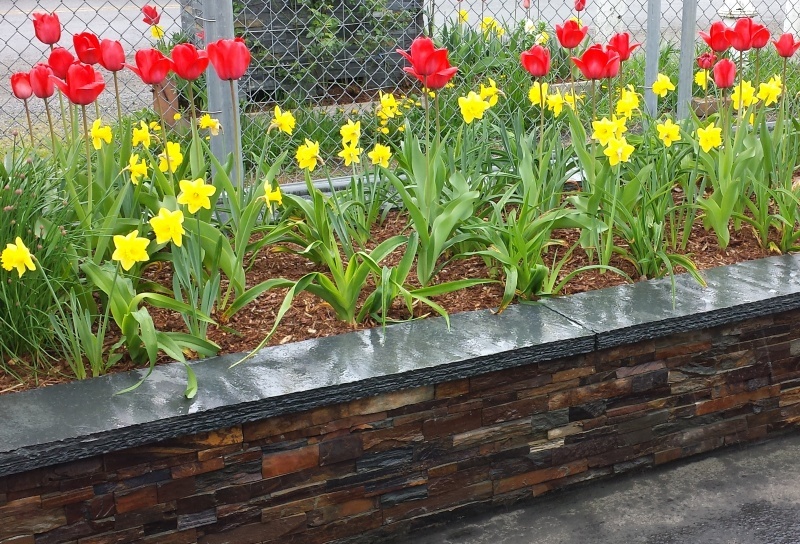 This landscaping project for a raised-bed garden used Autumn Rose slate stone ledgestone veneer over a concrete block CMU wall base. Mt. 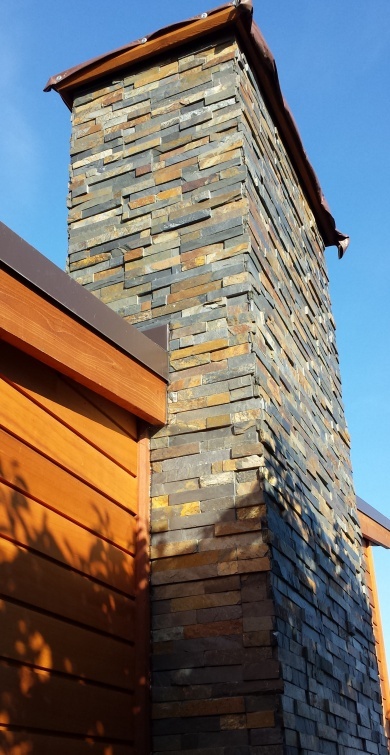 Rainier slate stack stone on an outside chimney. Mt. 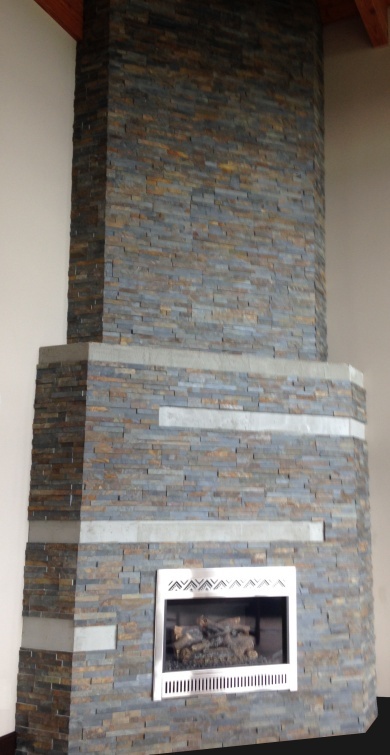 Rainier slate stack stone used on an inside fireplace.